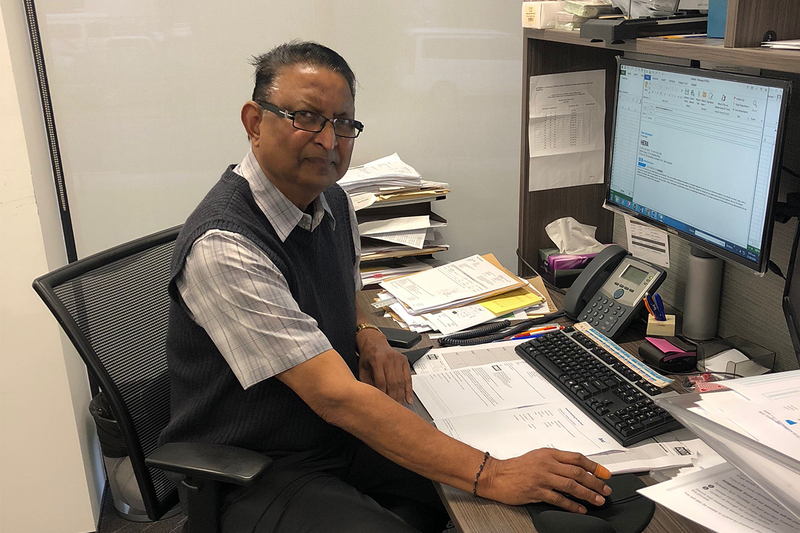 Meet Kam Subramani – a man clocking up almost 30 years of service at HERA! This month the idea of work culture has been playing heavily on our mind. In particular, how we go about fostering a good one. In the end, the answer couldn’t have been more simpler – he tangata! (the people). That’s why we’d like you to meet a gleaming example of this – our Accountant, Kam Subramani. Kam has been our accountant for almost 29 years, and is turning 73 in January 2019. Without any effort, he recalls his first day with us on 29 March 1989. Originally employed as a part time Accounting Officer by our Former Director Llew Richard – it only took Kam three weeks to prove his worth! With Llew putting up a proposal to the Board (with John Fraser as Chair) to allow HERA to employ Kam full-time. As a new immigrant to New Zealand, Kam was very grateful for this opportunity. At the time he had a young family to support (a son aged 11 and a 5 year old daughter) – and had just left Fiji to escape the coup. In Fiji, he’d been a practising accountant part-time, while also teaching accounting at the local High School. And since he began at HERA, he’s proven to be a loyal employee, with one former Chair even attempting to poach him on numerous occasions! Innovation in the 80s: shift over, I need to use that computer! Over his years with us, Kam has seen the implementation of many innovations within our association. And one thing he’s proven is that he’s always been open to adapting to these disruptions. Because innovation isn’t just for the young – but also for the young at heart! One of these innovations was the personal computer. Where he recalled when he first started, there was only one computer shared between the receptionist, accountant and librarian. If someone wanted to type something up, he’d have to get off the computer to allow them to do that! He was also responsible for introducing the rubber stamp to our processes. This ensured appropriate financial governance and internal controls were maintained – and, it’s something we still apply today! Recently, we also decided to update our accounting system. A change that meant Kam has had to familiarise himself with new software and processes for budgeting. While this may seem old hat to many – when you consider Kam is 73, it’s easy to see this could be very overwhelming if it was not for his determination and willingness to learn. It’s a great reminder that it’s not just the younger members of staff who need to embrace innovation. It’s hard to believe Kam’s age when you see him. Particularly, as he has been managing Type 2 Diabetes since he was diagnosed at age 55. With our focus on ‘work and safety culture’ this month, I asked him what his “secret” was. He explained he was very particular about managing his diet and getting regular exercise. I’m particularly impressed by Kam’s memory. Not just remembering recent details but even specific dates of key activities or the name of the lady who first processed his immigration application to enter New Zealand! I’m also amazed with how readily he embraces change. No sooner have we agreed to change accounting systems than he’s met with a range of advisors, started a trial and done an internet search comparing the pros and cons of the options! Kam is a very busy contributor to HERA activities but is also busy in general. He also manages the accounts for Metals NZ and Metal Roofing Manufacturers (MRM), NZSSDA, Casting Technologies, HERA Foundation and HERA Certifications. I think it’s sometimes nice to reflect on how much things have changed in the work environment over the years. The pace of innovation in our lives is so rapid that sometimes we forget how “old fashioned” we used to be. For example, I was amongst the first cohort of students at the University of NSW who had to submit typed assignments versus hand-written ones. In that year, having an electric typewriter was key (pardon the pun). Two years later, students having a home computer became common practice and emails started to become more popular. All that change, and I still don’t feel very old! Now, when we talk about block chain, cryptocurrency and the like, we think this is all so revolutionary… but we have all experienced similar changes in our lives. It’s worth remembering this, so that we can embrace changes and look forward to innovations. A comment from Llew Richards that has stayed with Kam is that he was “working for HERA, not for himself.” This is evident now as it was then. And what that really means is that Kam is working for our members to ensure that we apply appropriate financial governance controls and innovate our administrations. 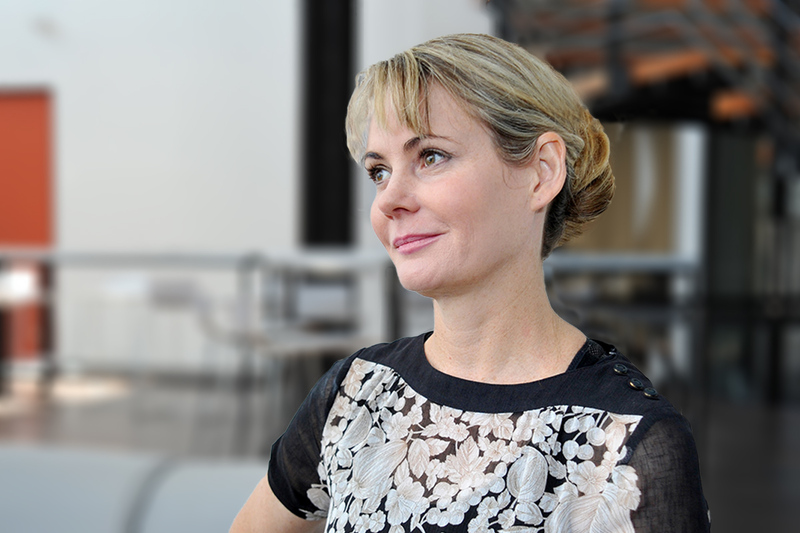 Looking back on Kam’s career, it becomes clear that innovation is a strong part of our HERA culture. Not just through our R&D services, but right throughout the organisation.